Allison Thompson (email: allisonthompson@juno.com) is a dance historian, musician and writer. She has written extensively about the folk dance revival in England and the United States and is an authority on maypole dancing. Her most recent book, May Day Festivals in America, 1830 to the Present, was published in 2009. Allison is currently at work on dance in Jane Austen’s lifetime, with particular reference to the music in Austen’s manuscript books. The eighteenth century was the age of the public assembly, of social amiability, of the pleasure in seeing and being seen. This spirit was evinced in the popularity of promenades and pleasure gardens, the rise of lending libraries and clubs, and the erection of elegant assembly rooms in which crowds of well-dressed ladies and gentleman danced and enjoyed each other’s company. But even pleasure-seekers must be organized and directed. When Anne Elliot and Catherine Morland (and Jane Austen herself) visited Bath, they danced in rooms specially built by public subscription and presided over by an elected Master of the Ceremonies who enforced rules for proper attire and behavior. These “Rules of the Assembly” also dictated the types of dances performed at these public events. So popular were these public assemblies that citizens of towns from Lyme Regis to Edinburgh built assembly rooms and flocked to them to socialize. But as the century came to a close, the attraction of public partying came to an end, and, as Austen shows us, the upper and middle classes turned inward to the more exclusive pleasures of private parties and balls. In 1704 when the ailing Queen Anne came to drink the waters, Bath was little more than a muddy village. Made fashionable by the Queen’s visit and with the civilizing efforts of Richard “Beau” Nash, Master of the Ceremonies at Bath from 1704 until his death 1762, public assemblies at Bath and elsewhere in which the highest and the upper middle classes could mingle in delighted amicability grew in popularity. The elegance of the company required equally elegant surroundings and from the mid-century on, bands of subscribers in England and the major towns of Scotland and Ireland built public assembly rooms for dancing, cards and other entertainment. By 1770 there is evidence of more than 60 towns and spas in England alone that had experimented with assemblies (Borsay 151), and by 1801, Bath was the eighth largest city in England with a population of 30,000. A society that in 1700 had had no concept of a holiday resort now took travelling for pleasure for granted. “Sixteen thousand strangers at Bath in the season 1805!” wrote the diarist Caroline Girle Powys, a distant relation of Jane Austen (358). Public assembly rooms were designed to impress with their size and the elegance of their appointments. In his work of 1799, The Balnea: or, an Impartial Description of the Popular Watering Places in England, George Saville Carey provided an assessment of every spa-town’s assembly rooms, showing how important these facilities were both in the eyes of the visitors and to the towns’ ability to attract tourists—a topic that Austen began to explore in her unfinished work Sanditon. Carey wrote, for example, that Cheltenham boasted two assembly rooms: the upper ones “remarkably neat and elegant, the chandeliers and lustres peculiarly brilliant”; the lower ones “handsome, but inferior” (155). Margate’s assembly room was “spacious, and a good object, standing in the centre of the town” (7), but Scarborough’s was “nothing to boast of in respect to elegance” (244), while Yarmouth’s assembly room was “not of the first order, either in respect to its elegance or the company that attend it” (264). The queen of the assembly rooms outside London was Bath, especially after the New or Upper Rooms were completed in 1771. The Lower Rooms, in Carey’s estimation, were “handsome, commodious, and capacious,” but the Upper Rooms “surpass[ed] every thing of that kind in any town or city in the three kingdoms” (139). The size, the brilliance of the lighting, and all the elegant appointments of the Upper Rooms delighted visitors for several decades. As indicated in this letter, in the absence of a specially-built assembly room, subscribers could dance in small ballrooms attached to an inn—such as the Crown Inn that Frank Churchill waxes so enthusiastic about. The Crown is “an inconsiderable house, though the principal one of the sort.” A ballroom has been visibly added to the original structure “many years ago” when the neighborhood was in a more “particularly populous, dancing state, . . . but such brilliant days had long passed away,” and it is now used for a gentlemen’s whist club (197). Austen might have occasionally danced in such a room, but we know that from 1792, when she was just sixteen, to 1801 when the family moved to Bath, Jane and Cassandra and their brothers attended the Basingstoke Assemblies held in the Town Hall, which boasted a room that could seat 300 built over a colonnaded area for market stalls (Vick). Thou know’st the time, thou man of lore! Thou know’st the time too, well-a-day! Critics deplored the expense of the ephemeral decoration, and the fashion probably did not trickle down to the provincial assemblies, as Austen would certainly have mentioned the chalk dust on the floor and shoes. Whether at an inn or in Bath, a feature of the ball was the supper or tea offered midway through the evening. The music stopped and couples processed to the tea room to enjoy hot food, wine, tea, and sweets. Miss Bates describes the handsomely-lit supper at the Crown as being like a feast of Aladdin—“‘This is meeting quite in fairy-land! . . . Such elegance and profusion!’” (322-23, 330)—as did Austen’s cousin Eliza de Feuillide when she attended a festivity in 1782 at the court of Marie Antoinette (Austen Papers 101-03). The supper was as lavish as one’s budget would allow, and those at court were indeed fairytale-like. For example, to celebrate the recovery of King George III from his first bout of madness in 1789, the Queen gave a ball and supper. The hall was beautifully illuminated, and everything was of the greatest splendor and richness. That part of the supper which was hot consisted of twenty tureens of different soups, roast ducks, turkey-pouts, cygnets, green geese, land-rails, chickens, asparagus, peas, and beans. The cold parts of the collation were the same kind of poultry boned, and swimming or standing in the centre of transparent jellies, where they were supported by paste pillars, not in circumference thicker than a knitting needle. This, with the lights playing from the candles, and reflected by the polish of the plates and dishes, made a most beautiful appearance. Cray-fish pies of all kinds were distributed with great taste; and the hams and brawn in masquerade, swimming on the surface of pedestals of jelly, seemingly supported but by the strength of an apparent liquid, excited general admiration. (Watkins 362-63). Enter any assembly room in Great Britain (or North America) in the eighteenth century and you would see its “Rules of the Assembly” prominently posted on the wall. With no host or hostess to oversee behavior, public assemblies needed to outline the rules of precedence, dress, and expected behavior. The Rules functioned to limit or control the attendance at the event, to moderate expectations about the order of events, and to control conduct at them. The Rules also invested the Subscribers’ authority for the evening to the Master of the Ceremonies who ran the evening and settled all disputes. Richard Nash was the first to issue some rather facetious Rules to regulate public conduct at Bath in the 1730s, and they evolved thenceforward. While there are many similarities in the Rules found at various spa towns or Assemblies, they were not uniform over time or location, although they almost always opened with a statement that the subscribers alone controlled the public amusements in the rooms. The Rules then laid out the nights for different kinds of card, musical, or dancing assemblies and the subscription prices. A principal function of the Rules was to control admittance: while these were termed “public” assemblies, the protocol involved in procuring a ticket helped to keep out tradesmen—though it was not always successful, as we shall see. Thus, in some cases gentlemen subscribers were issued their own tickets plus one or two extra for ladies; in other cases ladies purchased their own. Subscribers could sometimes transfer extra tickets to non-subscribers; however, in these cases, the Rules often dictated that the subscriber write his or her name on the ticket, effectively creating an introduction and thus limiting attendance. The Rules almost always proscribed certain articles of dress: notably, no boots or half-boots in the ballroom (though after 1800 officers on duty seem to have been exempt from this ruling), and ladies who wished to dance minuets were required to wear court dress, which included long lappets or streamers of lace on their heads and the full hoops that had been fashionable in the 1740s. The Rules also laid out the orders of precedence: for example, brides and strangers typically were permitted to stand first in the set and choose or “call” the first country dance of the evening (as Mrs. Elton does to Emma Woodhouse’s dismay); seats at the head of the hall (“the Presence”) were reserved for ladies of importance; after one danced down the dance, one was expected to figure up it, and so on. Some Rules specified that the ladies would draw numbered tickets for places in the set, which they would retain for the evening; their partners, if they changed partners, accompanied them to their places in the set. On occasion ladies would draw (literally, some version of names in a hat) for partners, as Austen notes in a letter to Cassandra on January 14, 1796. These customs worked to prevent the gentlemen from picking only the prettiest girls to dance with, and it also prevented the ladies from scrambling to be first in line (and thus the first to call a dance). From The New Bath Guide. 1799. Last, but not least important, through the Rules the subscribers to the Assembly gave authority to the Master of the Ceremonies, who was charged to ensure that society mingled amicably and with as little friction as possible. Upon arrival at Bath or another spa, the visitor was required to sign his or her name in the Pump Room book, after which he or she was waited upon by the Master of the Ceremonies. He welcomed visitors, inquired into their satisfaction with their lodgings, ensured that they knew about the amenities of the city, and, in effect, interviewed them to be sure that they were of an appropriate quality to enter his domain. Thus, when Mr. James King—a real person and the M.C. who effected the introduction of Mr. Tilney to Miss Morland—added the duties of M.C. at Cheltenham to those of Bath in 1803, he wrote in his Rules that “as it is absolutely necessary that no improper company should be permitted to frequent the assembly rooms, the Master of the Ceremonies particularly requests, that all strangers, (ladies as well as gentlemen), will give him an opportunity of being introduced, before they hold themselves entitled to receive that respect and attention, which is not more his duty than his inclination to observe” (Feltham 43). King, who had served in the British army during the American war, began his rule in Bath in 1785, when he was elected without opposition as M.C. of the Lower Rooms. In 1805, King became M.C. of the more prestigious Upper Rooms and reigned there until his death in 1816. Austen knew very well that her contemporary readers would enjoy the joke of having this illustrious gentleman introduce her characters to each other, and this may be one of the first, if not the first, examples of interpolating a real person into a work of fiction. The position of the M.C. was lucrative as well as socially desirable, and it was coveted on both counts. For example, when one of Nash’s successors died in 1769, there was a violent dispute between two candidates for the position. Circulars and pamphlets were issued, there were unruly meetings and even fisticuffs. When one candidate appeared in the Assembly Room, a supporter of his adversary pulled him out by the nose. Two weeks later there was a great encounter between the two parties. A friend of the aggrieved candidate rose to speak, and his voice was drowned out by hisses. This abuse was followed by blows and then a general melee, “in which the women were well to the fore.” According to one account, women actually began the fray, tearing each other’s dresses, laces, and hair. It took the arrival of the Mayor, accompanied by officers of justice, to read the Riot Act three times to quell the uproar (Barbeau 112-14). After tempers cooled, a third gentleman, Captain Wade, was elected by common agreement. The pliant bow; the ready He! he! he! An evening at either the Lower or Upper Rooms at Bath prior to about 1800 began with the minuets, a dance for only two persons at a time, and one that engendered tremendous social anxiety—even sensations of “terror”—as one performed surrounded by 500 or more critical spectators. The minuet was king of the ballroom for most of the century, declining first in the provinces when Austen was a teenager though it remained obligatory at Court until the King’s final illness (Dain). Those who wished to display their talents in the minuet applied to the Master of the Ceremonies, who arranged partners by rank and suitability. Since typically more ladies than gentlemen wished to dance, a gentleman “walked” the minuet with first one lady, then a second. Ladies were required to wear the enormous hoops that formed Court dress, as well as lappets, streamers of lace on the head. Gentlemen wore full-bottomed coats, vest, and knee-breeches. Both sexes wore high-heeled pumps. Did Jane Austen dance the minuet? We do not know for sure. She and Cassandra attended boarding school only for two short periods when Jane was quite young. Since the minuet continued to be taught to children until the 1820s, it is probable that the Austen girls learned the dance. They may never have danced the minuet in public, however, as it had already died out at the Basingstoke Assembly by 1793, when Jane was seventeen. When Eliza Smith married the Austens’ wealthy neighbor William Chute in late 1793, the young woman was apparently so nervous about appearing at public balls that her mother wrote: “I am glad for your Sake there are no Minuets at Basingstoke, I know the terror you have in dancing not that you have any occasion for such fears” (qtd. in Tomalin 97). At the end of the hour of minuets, the ladies retired to remove their hoops and returned for the country dances. Again, the M.C. would organize the places for the ladies and regulate the order of the “calls” for the dances, directing the musicians when to begin and when to stop playing. The country dances were not, however, as we dance them today: they were danced with steps (the ones that Fanny Price practices), rather like modern Scottish country dancing; they were danced in triple minor sets (that is, groups of three couples within the major set); and they were started by the top couple dancing only with couples two and three, working their way down the line and gradually involving all the other couples, and then figuring their way up it. The choice of which English country dance to perform was given to the topmost lady in the first set, and she chose the tune and then set figures to it—that is, the figures were not so firmly attached to the tune as we find in modern English country dancing. After she called her choice of tune, the second lady in line had her turn and so on. If there were multiple lines of country dancers, the first lady in the second set called the second dance, and the first lady in the third set called the third. After the Treaty of Paris was signed in 1763, cotillons or cotillions, a French dance for two or four couples in a square formation, became popular. Featuring complex footwork, cotillions had a standard set of “Changes,” such as circle to the right and then the left, turn partner by the right and left and so on. Each Change was followed by a complicated “Figure” that was distinctive to each tune. Because of their length and difficulty, cotillions tended to be limited to one or two in an evening. The Scottish reel, though popular in more informal settings, does not seem to have been danced at Bath, and the turning waltz and the quadrille did not become generally popular until after 1814, though Austen refers to Frank Churchill and Emma Woodhouse dancing a country dance in waltz time. On the stroke of eleven—“the fatal hour at which the ball is to conclude”—the M.C. held up his watch, “when, in a moment, as if the Gorgon’s head had been exhibited, every fiddler’s arm is arrested, and no further steps taken for the evening” (Pallet, Bath Characters xvii). This rule had been laid down by Beau Nash early in the century on the grounds that many at Bath were invalids and needed their rest. Since popular M.C.s like James King held multiple posts, the “Season” was not the same at all spas and watering-places. The Season at Margate, for example, commenced on the King’s birthday, formally celebrated in June, and ended in late October, whereas Bath commanded the more fashionable months of October through May. The hours and pricing of the summer balls were usually different from those of the winter. In Persuasion, Austen shows us that Lyme Regis is a summer seasonal resort, not a full-fledged spa town, for the Assembly Rooms are closed when the Musgrove party visits in late November (95). In the days of King Nash, one could be accepted as one of the Assembly at Bath by simply dressing well enough and behaving adequately. As Lord Chesterfield wrote mid-century with disdain, “A gentleman is every man, who with a tolerable suit of clothes, a sword by his side, and a watch and a snuff box in his pockets, asserts himself to be a gentleman, swears with energy he will be treated as such and that he will cut the throat of any man who presumes to say the contrary” (285). This ability for those of lower ranks to infiltrate the assemblies and promenades of the nobility was such that in 1766 it was reported still favorably of the spa at Tunbridge Wells that “all ranks are mingled together without any distinction. The nobility, and the merchants; the gentry, and the traders, are all upon an equal footing, without anybody’s having a right to be informed who you are, or whence you came, so long as you behave with that decorum which is ever necessary in genteel company” (Benge 121). This use of attire and basic decorum to define a gentleman worked well during the years that only wealthy gentlemen could afford the proper attire, but as the middle class grew in number and in affluence, the system began to break down. By the end of the century, complaints about the mixing of society were common. Lady Rodolpho Lumberco in Charles Macklin’s play The Man of the World (1781), describes Bath society as being a “very great mob there, indeed, but very little company.” She gripes that all are brawling over whist tricks: “a peer and a sharper, a duchess and a pinmaker’s wife, a boarding-school miss and her grandmother, a fat parson, a lean general, and a yellow admiral” (32). After 1771, when the Upper Rooms were opened, they commanded a more elite assembly than the Lower Rooms. Thus, in his poem of 1808, “Rebellion in Bath: Or, The Battle of the Upper-Rooms,” the author Peter Pallet notes that the company in the Upper Room includes a sleek parson, a fair maid, proud peers, fat dowagers, and half-pay Irish officers in search of a fortune, such as the scheming Captain O’Brien who marries Emma Watson’s wealthy aunt: “All, save Bath tradesmen, and such common stuff, / Who, banish’d from the fashionable ball, / Cut vulgar capers in the vile Town-hall” (4). As the new century opened, the mixing of society had become too much; the upper classes no longer tolerated the increasing encroachments of the middling sort. Attendance at public assemblies began to fall away in favor of private entertainments. Austen shows us this change when Sir Walter Elliot and Miss Elliot prefer to spend their evenings “solely in the elegant stupidity of private parties” rather than attending the theater or the Rooms, where Anne would have a chance of seeing Captain Wentworth (180). Now that public assemblies had given the upper class the idea of pleasant socializing, they began to add ballrooms to their own houses and give private balls to exclude encroachers. Mirroring this social change, after the Peace Congress of Vienna, the quadrille, a dance for eight intimes and the turning waltz, a dance for only two, replaced the jovial and democratic country dance, in which one danced with every couple in the set. The Age of the Assembly was over. The Lower Assembly Rooms, Oct. 1, 1787. 1st. That the seats at the upper end of the room be reserved for Peeresses, and Foreign Ladies of distinction. 2dly. That Ladies who dance minuets be permitted to sit in the front of the side-rows, to avoid giving unnecessary trouble to those who do not dance. 3dly. That Ladies who dance minuets be in full dress, with lappets: Gentlemen also in full dress: those of the army or navy are considered very properly dressed when in uniform, with their hair en queue. 4thly. That after a Lady has called a dance, it being finished, her place in the next dance is at the bottom. N.B. It is deemed a point of good breeding for Ladies that have gone down the dance, to continue in their places, ’till the rest have done the same. 5thly. That those who stand up after the country-dance is called, do take their place at the bottom, unless rank entitles them to precedence: And the Ladies are requested not to permit the intrusion of any couples above them, such compliance conferring a partial obligation, to the material inconvenience of those who stand below them. 6thly. That as the Subscription Balls end precisely at eleven, the Company do assemble as soon as possible after six o’clock. 7thly. That each Lady and Gentleman on publick nights pay sixpence on entering the room, which will entitle them to tea. 8thly. That Ladies may, if they please, wear hats in the publick Rooms in the evening, except on Ball or Concert nights:—Gentlemen are not to wear boots in the publick Rooms in the evening, nor spurs in the Pump-Room of the morning. 9thly. That no hazard or unlawful games will be allowed in these Rooms on any account whatever, nor cards on Sundays. Lastly. That Ladies and Gentlemen coming to town, give orders that their names and places of abode be entered in any of the Pump-Room books; and the Master of the Ceremonies thus publickly requests the favour of such Ladies and the Gentlemen to whom he has not the honor of being personally known, to offer him some favourable occasion of being presented to them, that he be enabled to shew that attention, which is not more his duty, than his inclination to observe. _____. The Novels of Jane Austen. Ed. R.W. Chapman. 3rd ed. Oxford: OUP, 1933-69. Austen-Leigh, R.A., ed. Austen Papers 1704-1856. London: Spottiswoode, 1942. Barbeau, Alfred. Life and Letters at Bath in the XVIIth Century. London: Heinemann, 1904. Beale, Catherine Hutton. Reminiscences of a Gentlewoman of the Last Century, Letters of Catherine Hutton. Birmingham: Cornish, 1891. Borsay, Peter. The English Urban Renaissance: Culture and Society in the Provincial Town 1660-1770. Oxford: OUP, 1989. Brown, Thomas [Thomas Moore]. Intercepted Letters; or, the Twopenny Post-Bag, to which are added, Trifles Reprinted. 4th ed. London: Wittingham, 1813. Burr, T. Benge. The History of Tunbridge Wells. London, 1766. Carey, George Saville. The Balnea: or, an Impartial Description of the popular Watering Places in England. 2nd ed. London: Myers, 1799. Cooke, William. Memoirs of Charles Macklin, Comedian. 2nd ed. London: Asperne, 1806. Dain, Angela. “Assemblies and Polite Leisure in East Anglia, 1715-1825.” Suffolk Local History Council Journal (Spr. 1997): 20 pp. Egan, Pierce. Walks Through Bath. Bath: Meyler, 1819. Feltham, John. A Guide to all the Watering and Sea-Bathing Places. London: Longman, 1815. Macklin, Charles. The Man of the World. The British Theatre; or, a Collection of Plays. Ed. Elizabeth Inchbald. London: Longman, 1808. Moser, Joseph. “The Sports of Ancient London.” The Sporting Magazine Jan. 1807: 189-92. The New Bath Guide; Or, Useful Pocket Companion. Bath: Cruttwell, 1789. Pallet, Peter P. [Richard Watkins]. Bath Characters: or, Sketches from Life. Ed. Timothy Goosequill, nephew of the Deceased Author. London, 1808. _____. Rebellion in Bath: The Battle of the Upper-Rooms: An Heroico-Odico-Tragico-Comico Poem. Ed. his nephew Timothy Goosequill. London, 1808. Powys, Caroline Girle. Passages from the Diary of Mrs. Philip Lybbe Powys, 1756-1808. Ed. Emily J. Climenson. London: Longmans, 1899. “Sporting Intelligence.” The Sporting Magazine Feb. 1813: 243-48. Stanhope, Philip Dormer. The Letters of Philip Dormer Stanhope, Earl of Chesterfield. Ed. 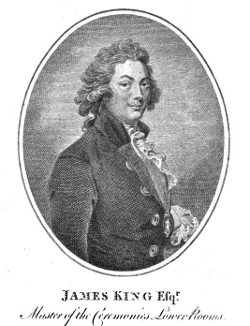 Lord Mahon. Vol. 5. Philadelphia: Lippincott, 1892. Tomalin, Claire. Jane Austen, A Life. New York: Vintage, 1999. Vick, Robin. “The Basingstoke Assemblies” Jane Austen Society Report (1993): 304-07. Watkins, John. Memoirs of her Most Excellent Majesty Sophia-Charlotte, Queen of Great Britain. London: Colburn, 1819.